He then moved to Europe to work for Jon Luc Columbo in France's Rhone Valley where he honed his Syrah-Grenache skills. After returning stateside, he renewed his association with Neyers, taking the winemaking job at Neyers in 1994 and then at Turley in 1996. 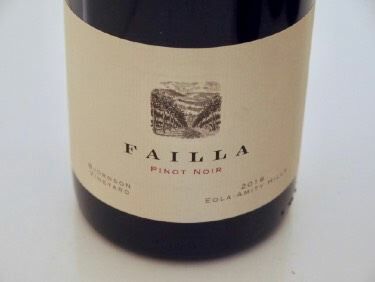 Failla (pronounced FAY-la) was originally founded as Failla Jordan in 1998, taking its name from the husband-and-wife team of winemaker Ehren Jordan and fellow debtor Anne-Marie Failla. That year the Estate vineyard on the Sonoma Coast was planted and together they began buying fruit for their first releases, the very Rhône-style ‘98 Alban Vineyard Viognier and ‘98 Que Syrah Syrah. Jordan also obtained Pinot Noir from Summa Vineyard on the Sonoma Coast years ago. 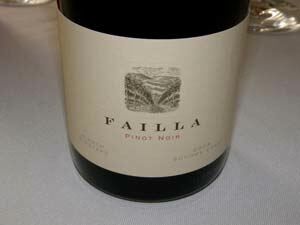 After three vintages, legal issues over the use of the word Jordan (as in Jordan Winery) in the name forced them to continue the label as simply "Failla". 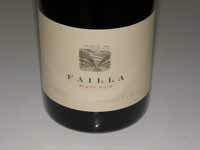 "Failla" debuted with a new Chuck House-designed label in the fall of 2002. The original label, designed by Anne-Marie's sister Marybeth, has been archived and the first three vintages will join either the pantheon of collectors' items or the fraternity of the oddities bin. Ehren spent several years looking for unique, cool-climate Pinot Noir sources. After tasting Marcassin's Pinot Noir from the Fort Ross-Seaview region of the Sonoma Coast, he bought 43 acres from a couple of pot farmers on what is known as the Gualala Ranch. 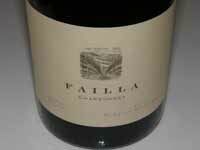 The Failla Estate Vineyard consists of 11 acres of organically farmed Pinot Noir, Chardonnay and Syrah. The portfolio has included Pinots from the Hirsch Vineyard on the Sonoma Coast (added in 2001) as well a Keefer Ranch in Green Valley. The 2005 vintage brought Pinot Noirs from Occidental Ridge on the Sonoma Coast, and Rancho Santa Rosa in the Santa Rita Hills north of Santa Barbara. 2006 included Appian Way Pinot Noir from the Russian River Valley, as well as Peay Vineyards and Estate Pinot from the Sonoma Coast. In 2011, vineyard sources include Hudson Vineyard (Chardonnay), Haynes Vineyard (Chardonnay), Pearlessence Vineyard (Sonoma Coast), Whistler Vineyard (Sonoma Coast). Chardonnay is produced with native yeast fermentations, 100% malolactic fermentation with no battonage. The wines are unfined and unfiltered. Pinot Noir is also fermented with native yeasts, pressed gently with a basket press, and are never racked, fined or filtered. 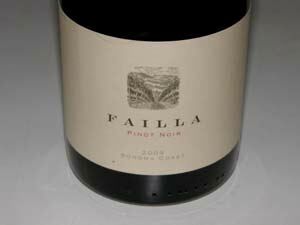 Single-vineyard Pinot Noirs include 5%-10% whole cluster and are aged 12 months in 25%-30% new French oak barrels. The lineup of wines (which includes Chardonnay, Viognier and Syrah) are sold through a mailing list. Pinot Noir represents 70% of production. The winery and tasting room is located at 3530 Silverado Trail in St. Helena. 707-963-0530. Beginning in 2016, a new project was launched at The Carlton Winemakers Studio in Carlton, Oregon.